We were going for dinner at ManaMana beach club and while walking along the beach, we came across these beautifully made sandcastles. 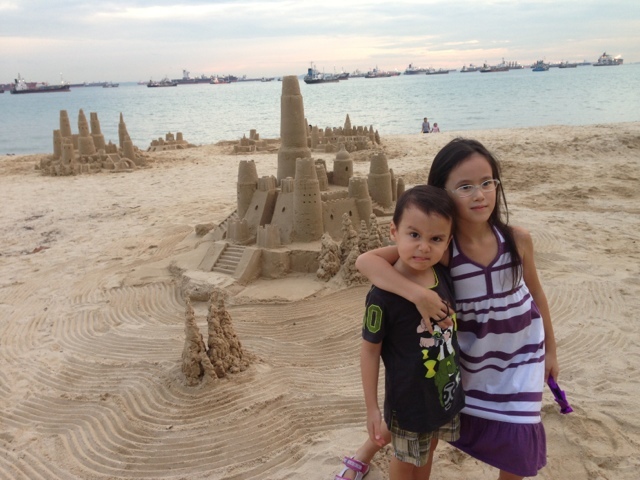 The kids were amazed at the extensively made sandcastles. It was really quite well done in my amateur opinion. I would be glad if I can achieve even a small segment of what was presented on the beach that day. Check out how nice they are.... while ignoring the silly face that the boy was making. I cannot believe how he would pull a face everytime when I ask him to take a photo now. 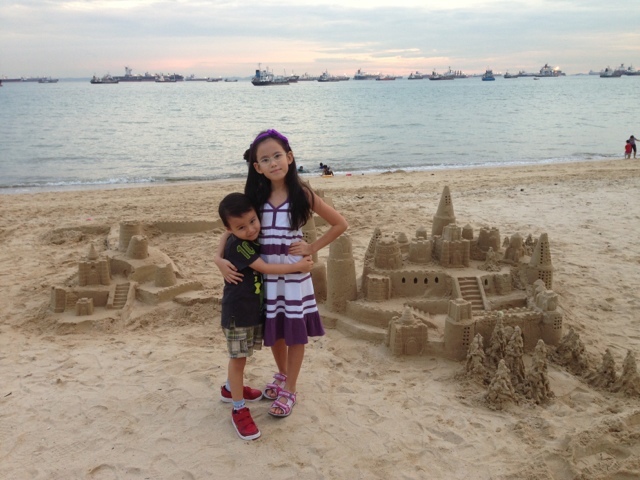 The kids asked how those sandcastles were made and requested to go to the beach one day to build some of their own. Well, I'm not sure if we could even build one anywhere similar to those we saw, but we'll try!